Just when I thought I had this parenting thing down, I became a single mom. Not that parenting ever becomes rote, but we had navigated our oldest all the way through high school and into college. While we hadn’t parented perfectly and there had been some rocky seasons, he was doing well. Now that we’d raised our first through all the stages, I exhaled a bit. My husband and I had developed a rhythm to our parenting, leaning on each other’s strengths. But a few months later, he died suddenly and overnight, I became a single mom of 7. 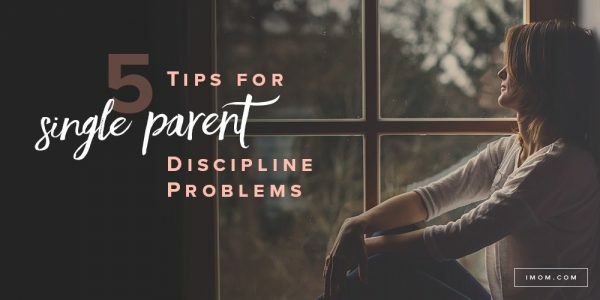 I found myself a student all over again learning to single parent.While I continue to adjust as a single mom, I’m learning to use these 5 tips for single parent discipline problems. 1. Problem: You’re always the bad cop. 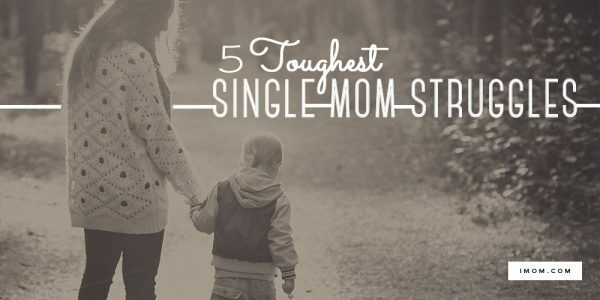 As a single mom, you may find yourself having to implement every no and all the consequences. It’s wearying and it feels like you’re using up all your relationship capital. It’s hard to discipline well when you’re mentally fatigued or physically exhausted. When I’m tired, I tend to armchair parent — responding to behavior triggers rather than getting up, addressing the situation and teaching for the long-term. Strategy: Proactively parent. Make chore charts instead of nagging. Remind kids of expectations before friends come over. Keep an evening bedtime routine. Putting structures in place beforehand will keep you from parenting only by reaction. 3. Problem: You’re always on. I lose a sense of objectivity when I’m with my kids 24/7. I can get into ruts with my tone, my attitude, and my outlook simply because I’ve lost some perspective. Strategy: Carve out regular time to get away by yourself. Whether it’s a night out by yourself, regular time to run or a personal retreat day, single moms need time to think their own thoughts. 4. Problem: You’re super stressed. 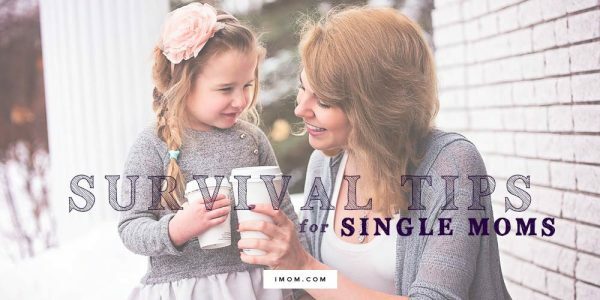 Single moms bear so much responsibility — from the children to the house, work, finances, future and even aging parents. That stress can show up as anger, depression or detachment. Strategy: Make sure you’re taking time for good self-care. It’s simple but true that eating well, exercising regularly, getting check-ups, and taking time for yourself can help you handle the stress. 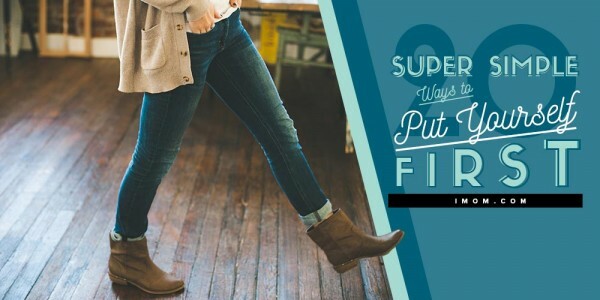 A relaxing pedicure or monthly hair appointment can go a long way to helping you beat stress. While the responsibilities won’t go away, good self-care can make the stress manageable. 5. Problem: You’re making too many decisions. The sheer volume of big and small decisions a single mom makes is daunting. And making them alone just adds to the overwhelm. Strategy: First, pray for guidance; God promises wisdom when we pray for it. Second, talk over the really hard decisions with a trusted friend. Finally, don’t re-decision. Learn to decide and then move on, rather than second guessing and re-hashing the decision. Your turn to share: what is a strategy you’ve found that helps with discipline?